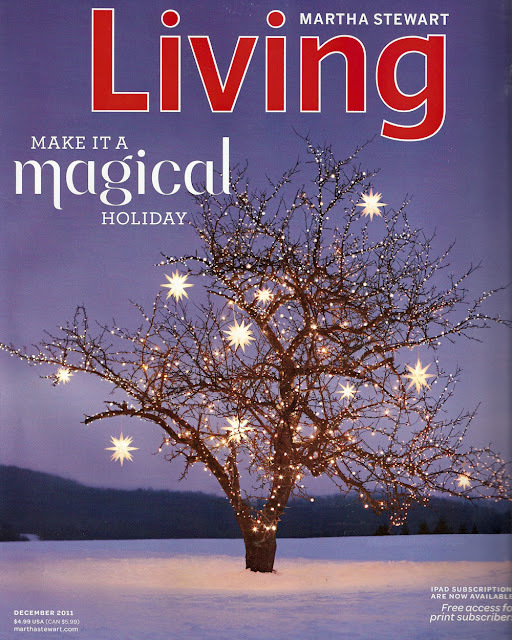 One of the best arrivals in my mailbox each year is the December issue of Martha Stewart Living magazine. 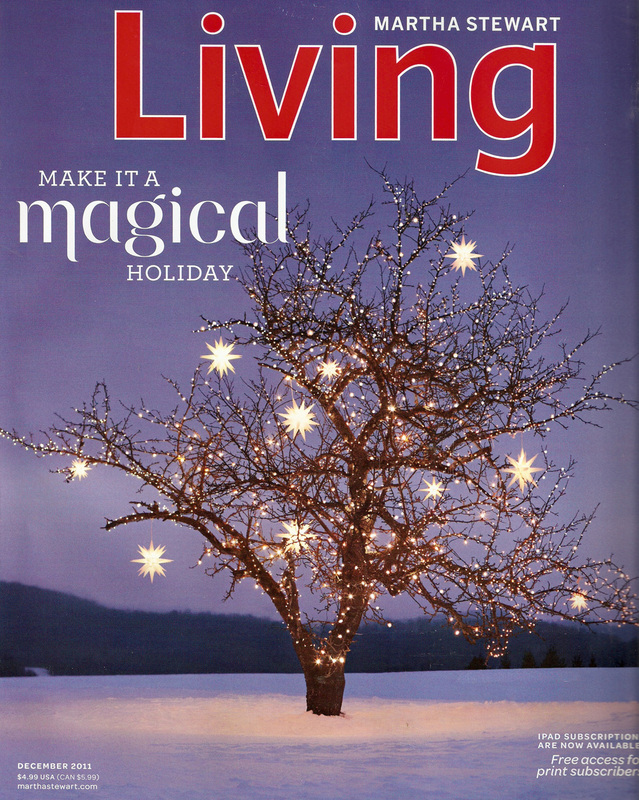 Few publications can even begin to rival the seasonal inspiration found in its pages. This year, the feel of the magazine is decidedly modern yet it retains that sense of whimsy and fun that makes the holidays so special. 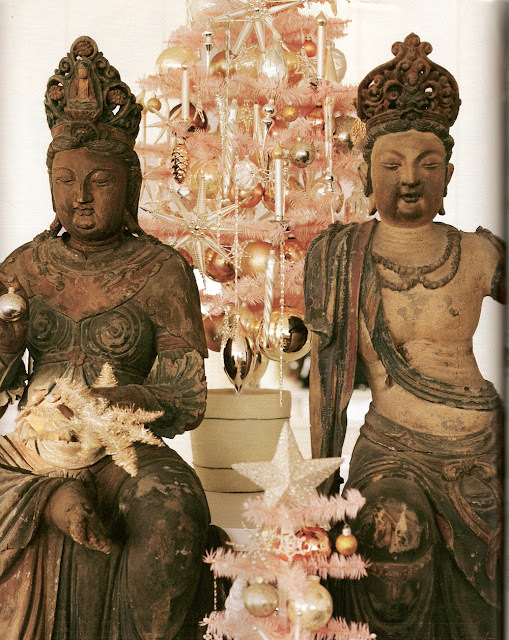 There is a lot of emphasis on the themes of light and clarity and all-things celestial. I love it! Below is a quick preview of its pages. The cover is simple with lots of moody impact. 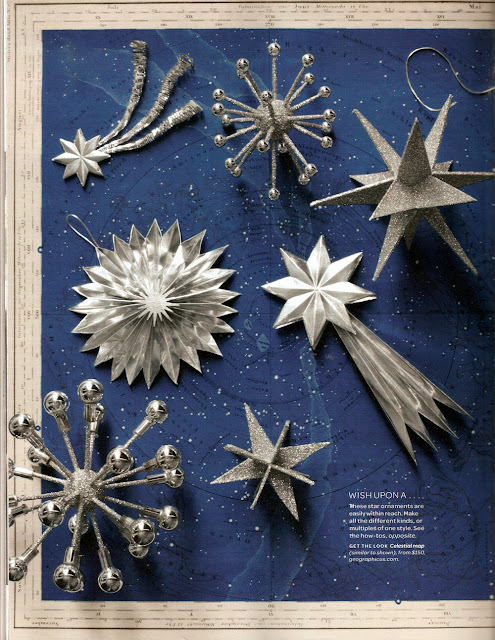 A great article on stars: tree toppers, cookies, ornaments and more. A delicious and festive holiday menu. Kevin Sharkey entertains at his Manhattan apartment. The results are beautiful! 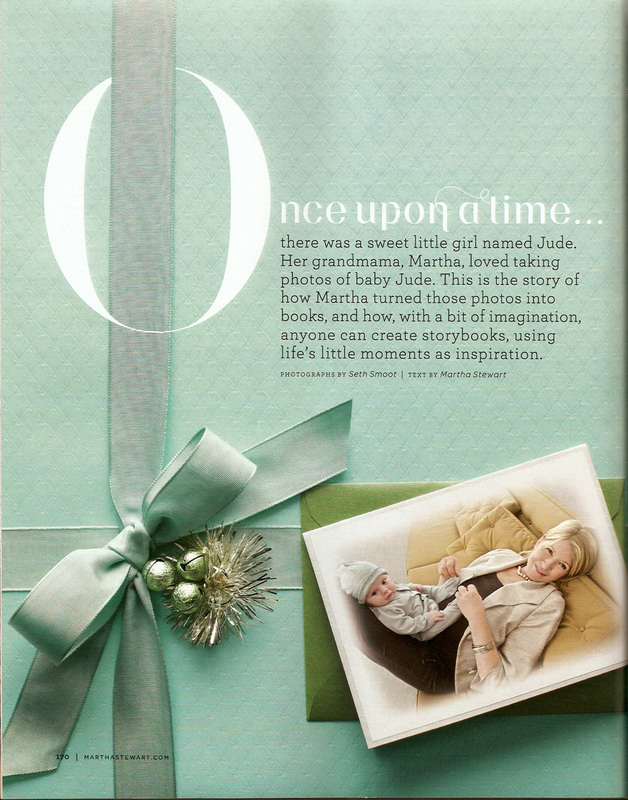 Martha reveals the special photo books that she made for her granddaughter, Jude. Oh my! 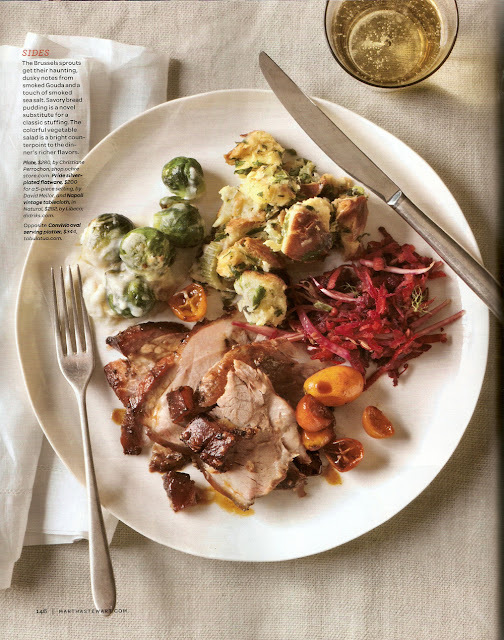 Looks beautiful -- can't wait!